The beginning of June had these two games available to try. The Crew 2 was a closed beta, but Ubisoft have allowed things to be shared from it. I was always going to be trying this one if I could. As for Mario Tennis Aces, I was unsure about trying this one at first, but since it was a time-limited demo, it couldn’t hurt to try it out. The Crew 2 has a massive open world, allowing a wide range of exploration. There’s a wide array of places to go, whether soaring over the desert in a plane or cutting through a forest in a boat. And let’s not forget the cars. Within the beta there’s quite a number of them, and a range of events to be taking part in. 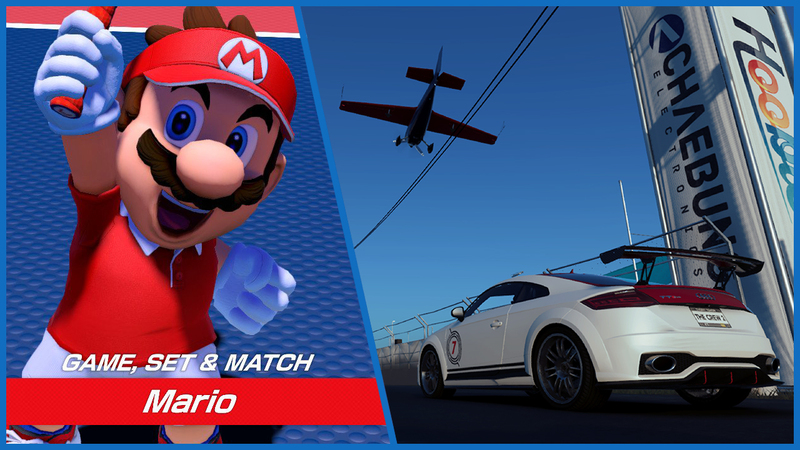 To start with there’s the opening race, that gives control of all three vehicle types. The control of them in this game feels very tight. Just as with GTA V, a slight touch in a direction with the stick will have the car turn in that direction pretty fast. Boats also do this, but with the added effect of the water on them. The planes are the easiest to control, and don’t suffer as much from the tight turning. All of this is fairly easy to get used to, so you’ll soon be racing and driving with little worry. Swapping between the vehicles is also easy to do, with one of each of the three types always on hand thanks to the favouriting system. As for things to do – there’s plenty. There’s four disciplines available, with both main events and sub events to compete in. There’s races, slaloms, escapes, and a host of others to keep you occupied, along with the exploration itself. And with an expansive map of America to get into, there’s a lot here. If you so choose you can just fast travel everywhere, but that leaves out another part of the game. Photo opportunities can present themselves throughout the world, making use of the photo mode in the game. The payouts for these photos are as big as the events, though it is possible that may change come the full game. That photo mode is yet another reason to explore, allowing a range of options to get the best photos possible. I was messing around with it in the beta, and found the level of control it offers great. Since the game is always tracking your last ten minutes of action, you don’t need to worry too much about stopping exactly at the point you want to get the photo. There’s a range of filters available. You can remove traffic, animals, and even your own vehicle from the shot. You can change the time of day, and even add a bit of motion or focus blur to them. 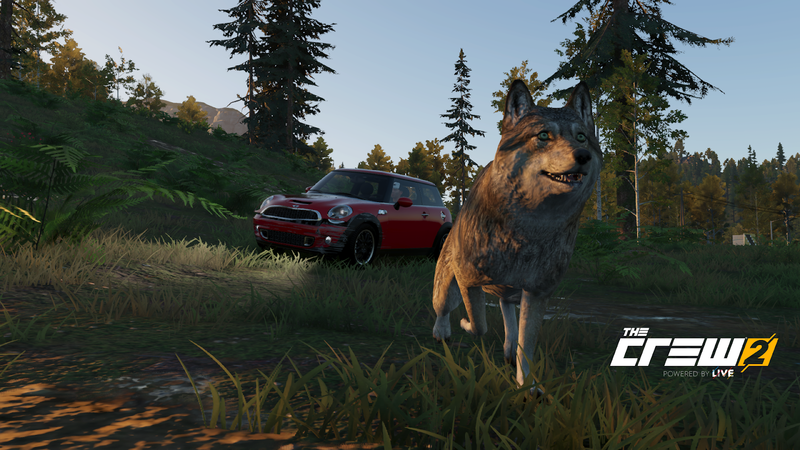 There is certainly a lot to do in The Crew 2, and I’m not going to mention everything I’ve done, but I was impressed enough back when it was revealed to add this to my What I’m Waiting For series, and the beta has confirmed that this is exactly what I’ve been waiting for. 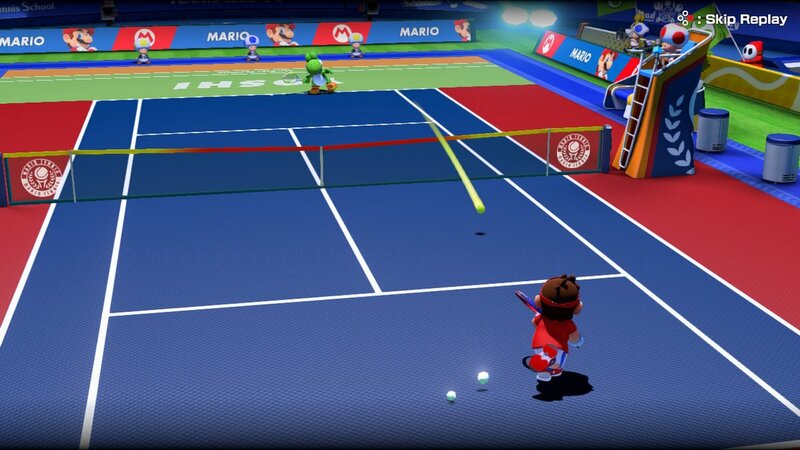 Mario Tennis Aces’ demo definitely had the feeling of being in control. It had the full feature set of a Tennis game with some added extras that make use of an energy gauge. It was easy enough to learn the moves required, but when it comes to putting them up against another opponent, you’d better hope you can quickly execute them. The main draw of them demo was the online tournament mode, where you get matched with a player. If you win, you move up the ladder and get matched with someone else. It works as a system to pit players against each other who have won a similar amount of matches. It provides a lot of fun to try and beat your opponent and a sense of victory for winning a match – particularly with those who might have beaten you in the first set. There was also a practice mode against an AI opponent, but aside from giving the opportunity to try out moves, it wasn’t doing much good as a mode. The AI are ridiculously easy to beat, only managing to win if you play at their level. It is a practice mode, so I can understand the easiness of it. 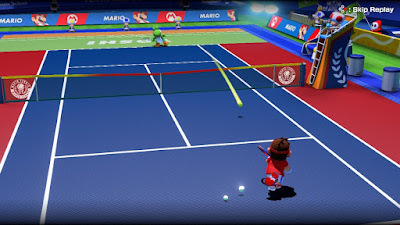 Overall Mario Tennis Aces’ demo did give a good impression, and if you are looking for a mechanically sound game, this one is definitely there. The story mode of the full game looks to be a good one, testing specific skills and providing a non-sensical plot that looks like it’ll be fun to see play out.